This Alzheimer’s FAQ section is an attempt to answer the most common questions that people have about Alzheimer’s disease and other types or causes of dementia. When we started Best Alzheimer’s Products misconceptions and misinformation about dementia were common and widespread. People are generally better informed now, thanks to a more enlightened media and other informative venues like this website. On the other hand, if you or a loved one has been recently diagnosed with dementia you likely know little about the disease or condition that is causing it. Few people study brain disease until it becomes personal. This page is a good start if you are new to all of this. From here you can visit other pages and posts to study in more detail. If you have a question that is not answered here, please contact us; we will do our best to help. If you want to contribute to Alzheimer’s FAQ with a question and answer you think is pertinent please do. In either case,commenting at the bottom of this page will make it possible for our readers to contribute their own knowledge and experience. After all, all of us are smarter than one of us. Alzheimer’s disease is the most common cause of dementia. Like other forms of dementia Alzheimer’s is a progressive and fatal disease that affects brain function by destroying the nerve cells (neurons) and the nerve connections that were created by our life’s experiences. Plaques and tangles are responsible for the nerve damage associated with Alzheimer’s, but know one yet knows for certain what causes the abnormal production of these two proteins in the brains of certain people. Plaques and tangles are called “hallmarks” of Alzheimer’s as they always present in the disease. Alzheimer’s disease is only one of as many as one hundred diseases and conditions that cause the memory and cognitive disorders that are usually associated with dementia. Alzheimer’s is the most common cause of dementia, accounting for as much as 60% to 70% of the cases world wide, and it is for this reason that “Alzheimer’s”, which is a particular disease, is often confused with the term “dementia”, which is a syndrome or a set of symptoms that could result from one or several of many different causes. Because it is the most prevalent and best known cause, “Alzheimer’s disease” is often used synonymously with “dementia”. We will often use the two interchangeably, mostly for the sake of writing style. 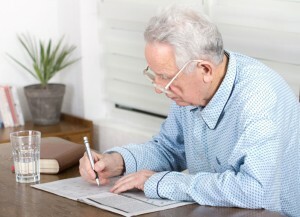 How does Alzheimer’s disease affect memory? Alzheimer’s disease is a condition that slowly destroys neurons, the cells in the brain that control our biological functions, allow us to reason, and store our memories. As more and more of those neurons are lost, more and more of our functioning is lost. The hippocampus is responsible for turning our experiences into memories, and is one of the first areas of the brain effected by Alzheimer’s. Damage to the hippocampus is the cause of the short-term memory problems that are perhaps the most recognizable symptoms of the disease. Eventually other parts of the brain are effected, including the cerebral cortex, the outer layer of the brain that is often called the “gray matter.” As cells in the cortex are destroyed older memories begin to disappear. 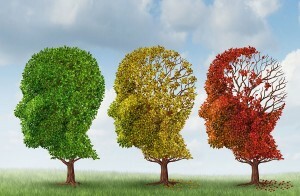 Is dementia or Alzheimer’s disease part of the normal aging process? NO! 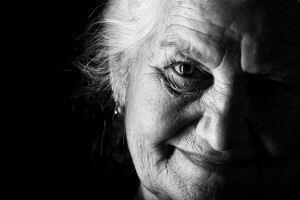 There is a decline in mental functioning as we age. A 65 year old is not as fast physically or mentally as he or she was at the age of 25. Also, age is one of the biggest risk factors for developing dementia; The older a person is, the more likely he or she will develop some form of dementia. For these reasons many people think that dementia is a normal part of getting older, and that in time everyone will get it if they live long enough. A slow degradation of memory and cognitive functioning with age is normal, but it is not dementia. Dementia is marked by a fast decline in these areas, one that is statistically significant. With dementia, for example, one looses the ability to care for oneself while others of the same age can manage independently without problems. This decline may take place over a period of months or even years, but it is a quick decline relative to what is normal. Read more about dementia and normal aging. Alzheimer’s disease usually strikes a person at about age 65. Five to ten percent of the people who develop Alzheimer’s get it ten to twenty years earlier; some as young as thirty or even younger, though that is rare. This is early-onset Alzheimer’s, or, more recently, younger-onset Alzheimer’s disease. Almost all of the younger-onset type has a very specific genetic component; more specifically, a mutation in a specific gene. For this reason it is often called Familial Alzheimer’s. Because of the genetic component, some researchers think that studying younger-onset Alzheimer’s will lead to a better understanding of, and possibly a cure for the disease. How many people have AD? Over 5 million people in the United States have Alzheimer’s disease. Worldwide the number is closer to 36 million. These numbers are increasing rapidly. It is projected that by 2025, as many as 7 million people in the U.S will have Alzheimer’s disease, and that number will approach 14 million by the year 2050. As many as 44 million people are living with dementia. By 2030that number could increase to nearly 76 million, and could exceed 135 million by 2050. Every four seconds, a new case of dementia occurs somewhere in the world. MCI is often a precursor to Alzheimer’s disease, like a stage between normal aging and dementia, but it does not necessarily become Alzheimer’s disease or dementia. In fact, only 10% to 40% of the cases of MCI go on to become dementia. Furthermore, as many as 30-40% of people diagnosed with MCI get better. The three-stage model is just one of several that have been developed to describe the progression of Alzheimer’s disease. There are several models created to organize and understand the progression of Alzheimer’s disease. The Alzheimer’s Association uses a very comprehensive and detailed seven stage model. More common is a model that divides the disease into three stages, early, middle and late. We will outline the simpler three stage model here, but you can get a more detailed account of both of these models on this website. Stage One Alzheimer’s—The earliest stage of Alzheimer’s is characterized by some memory loss, especially memory of more recent events. A person in the early stage will likely be able to carry out the daily activities of living, but may begin to forget familiar words and names when speaking, and have trouble finding things like keys. Stage Two Alzheimer’s—The symptoms of moderate Alzheimer’s disease are in large part an increase in the severity of the symptoms of the first stage. Professional and social functioning continue to deteriorate because of increasing problems with memory, logic, speech, and initiative. Stage Three Alzheimer’s—Severe Alzheimer’s disease is characterized by almost total memory loss. The person in this last stage of Alzheimer’s usually needs help with all of the basic activities of daily living. She will lose the ability to walk unassisted, and eventually even to sit up by herself. Three-stage model of Alzheimer’s disease. Seven-stage model of Alzheimer’s disease. Physical Changes – usually come late in the progression of the disorder and includes incontinence, trouble swallowing, balance and movement problems. Eventually even the critical functions like breathing and heartbeat are compromised, resulting in death. For a more detailed discussion about this see Symptoms of Alzheimer’s. My husband is 68 years old. He often forgets where he put his keys or where he left his glasses. Should I be worried that he is getting dementia? Not necessarily. This might be one of those “symptoms of normal aging.” We do loose some of our mental acuity as we get older, and that can result in behavior similar to what you describe here; but, you shouldn’t rule out dementia altogether. Watch carefully, and if forgetting becomes more pronounced, or if you notice any new and unusual behaviors, seek medical advice. For more about this see Alzheimer’s Symptoms. There is no cure. I personally feel that we will eventually lick this disease (Alzheimer’s) and probably all of the causes of dementia, but I’m not sure the solution will come in the form of a drug. I think it is more likely that we will eventually come to understand the causes and find ways to stop those causes. Are there drugs to to treat AD? There are as of now no drugs available the treat the disease, but there are several that are used to treat some of the symptoms. It seems that there is almost always a drug undergoing trials, a drug that one pharmaceutical company or another hopes will finally be the “Alzheimer’s cure” or the “dementia cure” we’ve all been hoping for. Some of these drugs seem at first blush to be more promising than others, but none have been able to do more than temporarily slow the progression. Most have proven to be completely ineffective. Anti-psychotics are often prescribed to deal with some of the psychological symptoms that often accompany dementia, symptoms like depression and apathy and aggression. Anti-psychotic drugs, however, generally have only modest benefits and can have some major side effects. They should only be used in extreme cases. 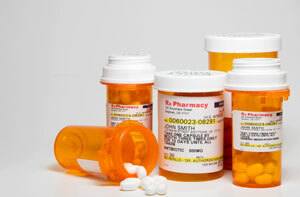 Another class of drug called cholinesterase inhibitors are thought to help the function of brain cells, but are only moderately effective, and in only about 30% of the cases. Drugs are often prescribed to make things easier for the people around the one who has dementia. We feel this is over-medication, and feel it is an unethical medical practice. Keeping the brain active might help delay Alzheimer’s disease. Just as there is no cure for Alzheimer’s disease, no one knows of a definitive way to prevent it. There are hundreds of studies that have shown connections between certain factors and a higher, or lower, incidence of dementia, and some of it is very compelling, but none of it is very conclusive. Some of the conditions thought to increase the risk of dementia are high blood pressure, obesity, smoking, and diabetes. These are all things we can influence with the proper medical care and lifestyle choices. There are also factors that seem to lower the likelihood of dementia. A healthy diet and exercise may be two of your best weapons in the fight against Alzheimer’s disease and all dementia. Staying curious and keeping your brain active is another on. You can learn more about this on our Preventing Alzheimer’s page. What should I do if I think I have Alzheimer’s disease? It is extremely important that you see your doctor if you suspect that you or someone you know has dementia. Among other things, an early diagnosis will allow treatment to start sooner. There is no cure for dementia, but the sooner it is recognized, the sooner treatment begins, the better will be quality of life. Early recognition will also allow the effected individual and his or her family to discuss and make legal and financial plans, as well as long term plans for care. It is important that you not delay this essential process, as the disease will make planning progressively more difficult, and eventually impossible. Acceptance of the diagnosis will prompt everyone involved to develop a better understanding of the disease, resulting in better care. There is not a single test to diagnose dementia. Much of it is based on looking at the individual’s history to determine how behavior and cognition may have changed over time. Most diagnoses are “probable”. Most general practitioners are not trained to recognize or diagnose dementia, and many of them feel uncomfortable talking with a patient about it. Your GP is a good place to start, but you want eventually to see a specialist, likely a Neurologist. Don’t be tempted to put your faith in any of a number of online tests that have been appearing lately. These are known to be ineffective at best. One of the most compelling reasons to seek medical attention if you suspect Alzheimer’s disease is that it might not be dementia at all. There are conditions that can mimic the symptoms of dementia. These conditions include, but are not limited to vitamin deficiencies, certain infections, fever, medication, and head injury. All of these are potentially serious and should be treated by a medical professional, but are usually reversible. It is important that other possibilities be investigated and dismissed before a diagnosis of dementia is made. When dealing with a parent that has been diagnosed, is it best to just agree or to try to correct their thinking????. Should I just go along with her made up stories? Dr Alzheimer’s keynote patient was a lifelong schizophrenic with kidney disease. It’s time to use the term dementia which is always correct and let Alzheimer’s return to 1915 again. After all, it’s not as if the wortd Alzheimer’s work for anyone. People are 50% more terrified of Alzheimer’s than of dementia. So everyone would be smarter to speak dementia.